As you know, I spend too much time finding unique places to stay as we travel. I love finding hotels, guesthouses and bed and breakfasts with personality. When I came across The Library Collection in NYC I was instantly intrigued. Ok, so my nerd side is poking out, and love of books, but yes, I couldn’t wait to stay in a hotel that reminded me of a Library. Unfortunately, we booked this trip incredibly too late thanks to the NYC Marathon all of New York City was sold out a year ago. Luckily two of the hotels in the collection were available while we were in town and with occupancy rates so high we split our nights up to experience two hotels. I say experience, and not just “stay at”, because from the moment you arrive, there is a vibe at these hotels that is relaxing in the midst of the chaos of the city and inviting. So, You Want the Details on Where We Stayed in NYC? Our trip started at Hotel Giraffe. 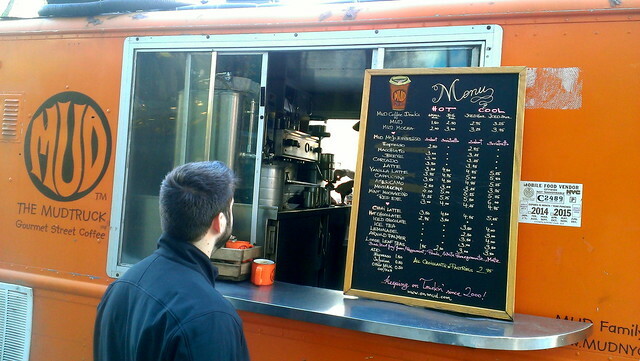 We quickly checked in and grabbed some espresso and a snack from their 24 hour snack bar before heading upstairs to rest. Rest and NYC used in the same blog post – I know, blasphemy We were tired after the flight, had to get some last minute work finished and knew it would be a late night! 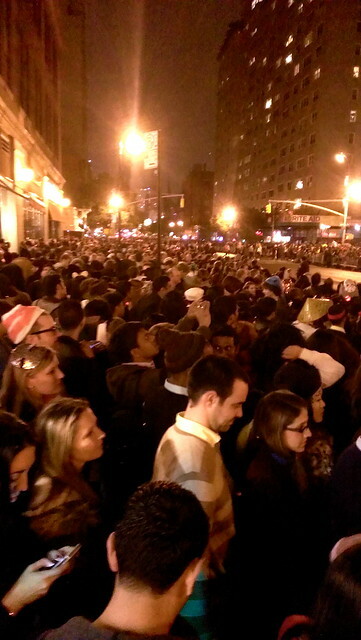 It was October 31st and we were attending the famous West Village Halloween Parade. The hotel is located on Park Avenue in the NoMad neighborhood. It is the perfect location for most places you will want to explore, and if you aren’t in the mood for walking, a subway station is a few blocks away. 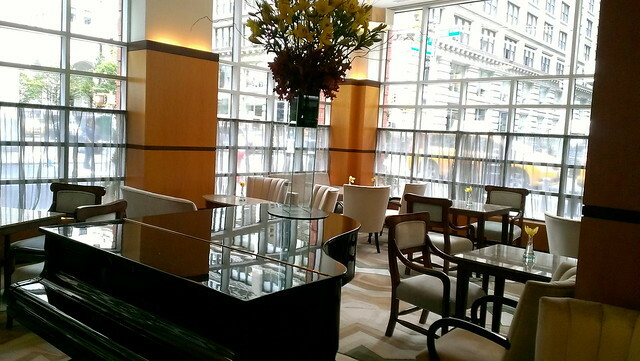 The lobby’s centerpiece is a beautiful piano, and if you make it down for wine and cheese hour you will get to enjoy live music as you begin your evening. After partaking in their complimentary wine and cheese reception, we grabbed dinner out (stay tuned for our list of great eats in NYC!) and walked over to the West Village Parade. The parade was insane. People were everywhere we looked, crammed into the streets. It was apparent that people show up hours early and camp out to get good front row seats. If you aren’t early, you are fighting to squeeze in and see over everyone’s heads. Needless to say, after the parade we couldn’t wait to get back to Hotel Giraffe for some quiet! 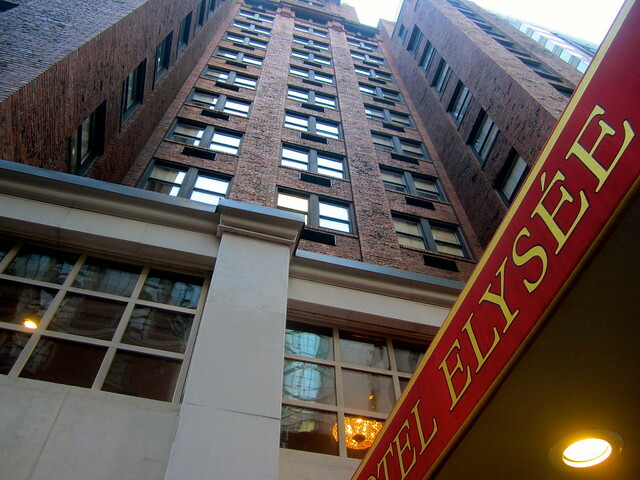 We ended our trip at Hotel Elysee, which was a great relaxing getaway in the city. 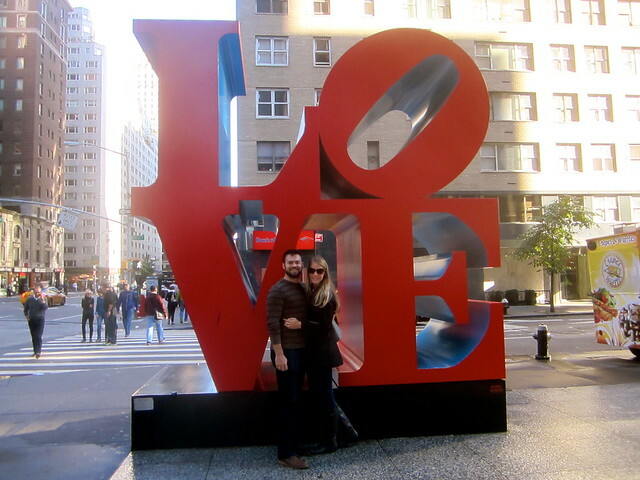 It is blocks away from Central Park, and after a crazy week in NYC we appreciated being able to come home and unwind. If you prefer smaller hotels, with free Wi-Fi, complimentary breakfast and a wine and cheese hour every evening this hotel is for you! We arrived early at the hotel and thankfully our room was ready so we could drop our stuff off and the get out exploring. Hotel Elysee is steps away from Central Park, and during Fall when the leaves are changing colors is my favorite time of year to walk through the park. Elysee is decorated in country French furnishings with a classic European feel. It reminded us of our stay at The Broadmoor in Colorado Springs. The hotel that was built in the 1920’s, and as you walk through it’s hallways and explore the floors, you feel as if there are stories around every corner. We didn’t make it to the Monkey Bar during this trip, but supposedly it is one of Manhattans legendary and most storied watering holes! Over the next few days we saw an off-broadway play (Peter and the Starcatcher), spent a lot of time in Chinatown eating and took time to walk through all the different neighborhoods stopping at cute coffee shops and bakeries along the way! We ran around the first half of our week in NYC, and as usual towards the end we were exhausted. New York, I love you, but you always seem to take it all out of me. So by the time we reached Hotel Elysee, we were happy to slow down a bit. Between the free breakfast, complimentary all day cookies and pastries and wine and cheese receptions nightly thank goodness they offer passes to the nearby New York Sports Club. This is my favorite amenity since I try my hardest to stay fit when I travel, and access to a full fitness club is incredible! Both of these hotels had some of the best amenities we’ve seen yet in our travels (I know BIG statement). 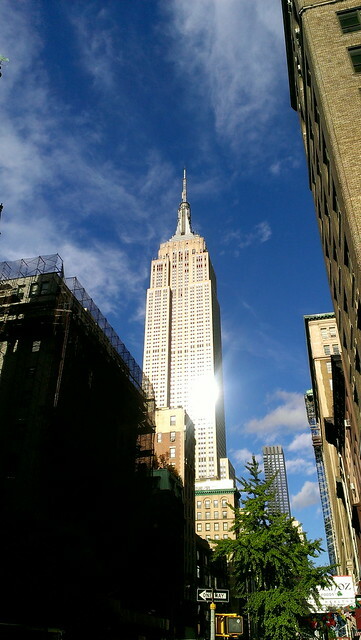 We love staying with smaller boutique hotels, especially in a massive city like NYC. It makes coming home feel… homier. The Wi-Fi is fast, the food is delicious and the location is in walking distance to a lot of Manhattan. The beds reminded me of my bed at home, it had that worn-in, comfy feel that made you want to sleep all day! If you do stay here, we personally recommend grabbing a coffee and starting each morning with a walk through Central Park. We will definitely stay with Library Hotel Collection again, My next trip out I want to experience The Library Hotel and Casablanca to see their styles and personalities! Do you tend to stay at bigger chain hotels, boutique hotels or bed and breakfasts? Thanks to Library Hotel Collection for hosting us in the city. 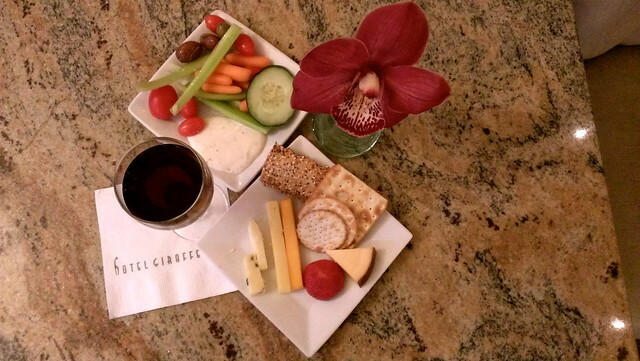 Nightly wine and cheese included? That sounds amazing. Count me in! Me too, please! 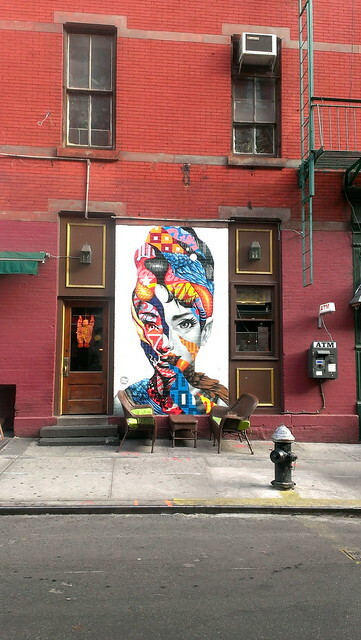 The only sad thing is that the small boutique hotels in NYC are not really cheap, but the feeling is worth it.